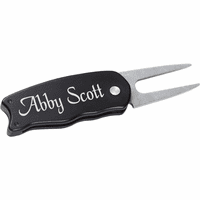 Every golfer needs a divot tool to remove pitch marks from the green. 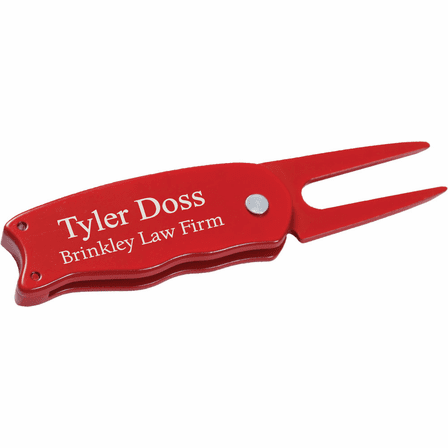 Give your favorite golfer something extra with this red golf divot tool. 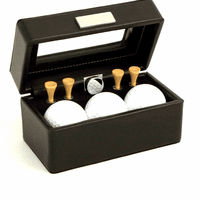 The folding style keeps the 1 3/4 " steel prongs hidden until ready for use, with no chance of damaging a pocket or golf bag. Add free personalization to the casing, with up to 2 lines of laser-engraved text. 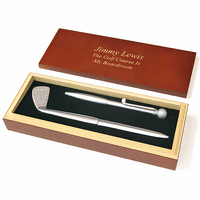 A great gift for family and friends, clients and business associates, this tool comes packaged in a handsome gift box. Dimensions: 2 7/8" x 1"